The soap community has strong opinions on Donald Trump’s presidency. Some have supported it, while others have opposed it. Several “Days of Our Lives” (Days) actors posted to social media just how they felt–and what they were doing about it. Scroll down to see their social media posts! Charles Shaughnessy (Shane Donovan) shared an adorable photo of his daughter, Jenny on Facebook. His caption for the image expressed his pride in his daughter’s attendance at the Women’s March in Los Angeles, a sister march to the one that took place simultaneously in Washington, D.C. 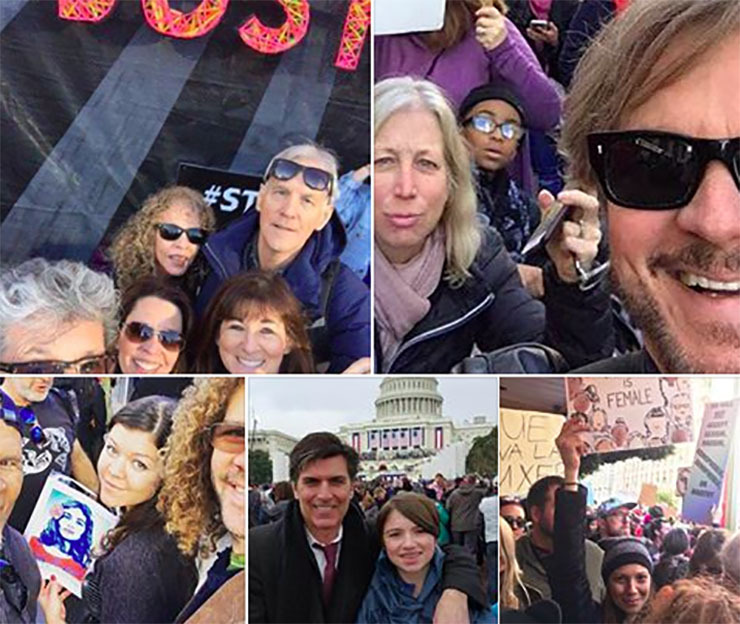 Problems in Prague, Solutions in L.A.
Stephen Nichols posted an exuberant pic to Instagram of himself and friends at the L.A. march as well. Some fans expressed dismay in the comments, for various reasons. But plenty supported Nichols and his views. Two That Share a Bond in Daytime Acting Cred and in Real Life! A Martinez (Eduardo Hernandez) Tweeted about his pride in his daughter, Devon marching in L.A. He can be seen in a photo of her holding a placard. Devon played Shawn Taylor on “The Young and the Restless,” the woman who decided to carry a baby for Nick (Joshua Morrow) and Sage (Kelly Sullivan) but backed out at the last minute. Tamara Braun may have played the scheming Ava Vitali on Days. But the actress had a positive message to share regarding her participation in a Women’s March. Vincent Irizarry, meanwhile, attended President Donald Trump’s inauguration, to which his son was invited.